State inspectors temporarily closed two Palm Beach County restaurants after finding roach activity. 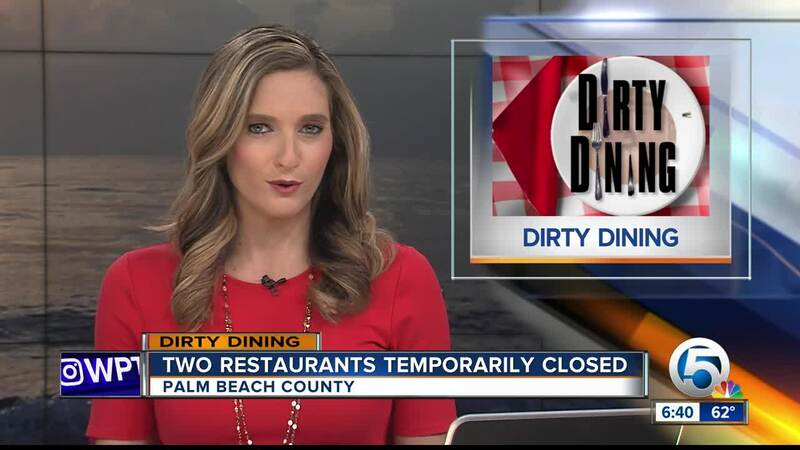 PALM BEACH COUNTY, Fla. — State inspectors temporarily closed two Palm Beach County restaurants this month after finding roach activity. On March 12, inspectors found several dead and live roaches inside Cafeteria Hellen at 4047 Okeechobee Blvd. in West Palm Beach. They also found food with mold-like growth. A black/green mold-like substance was found in the interior of the ice machine. Inspectors found food being prepared in a private home. The restaurant had five high-priority violations during the inspection. On March 13, inspectors found live and dead roaches inside Corner Porch on 85 SE 6th Ave. in Delray Beach. The report said five live roaches were found on a floor under a stove in the kitchen, and three live roaches were found on the floor under a prep cooler. Corner Porch had a total of three high-priority violations.